Syfy’s latest TV-show Dark Matter is based on the Dark Horse Comics series of the same name created by Joseph Mallozzi and Paul Mullie. In fact, Joseph Mallozzi is a long-time Stargate alumni and acts as executive producer for this show as well. The plot is simple. Six people awake from stasis on a ship in space but have no idea who they are. They try to get organized. Each is given a numeric designation, One through Six. One of them wants to be the leader, but is rebuffed by the others. They find a considerable weapons cache on the ship which raises the question as to what they were up to. Slowly, one by one, they manage to settle into a routine onboard without remembering who they are. Glimpses of their past lives are revealed when each discovers they excel at a particular skill. Things get more interesting when they inadvertently activate the ships android. The Android, as they call it, immediately attacks them until someone manages to wipe its memory. So far the first half of the episode is covered. A lot may seem familiar to sci-fi aficionados and a lot is, but the story does not linger. Quickly more mystery builds when the ship comes under attack. The Android manages perform evasive maneuvers and then set the ship on a faster than light course for their original destination, a small mining colony on a far off planet. After they get to the planet they learn that the miners fear an imminent attack by gang of reptilian mercenaries. The miners tell out six that they sent some of their own to buy weapons. After the six leave they discuss whether they were to sell the weapons before their memory loss. A decision is made to give the weapons to the miners so they have a fighting chance. However, The Android has managed to restore some of the computers memory. She tells them each their true identity. Expect for number Five they are all convicted murderers and pirates. It was their job to eradicate the mining settlement. The reference the miners made to reptilian mercenaries was simply a reference to the ship. Dark Matter is not a series with hard-SF elements. The title may suggest otherwise but at heart it is mix of Farscape and Firefly. 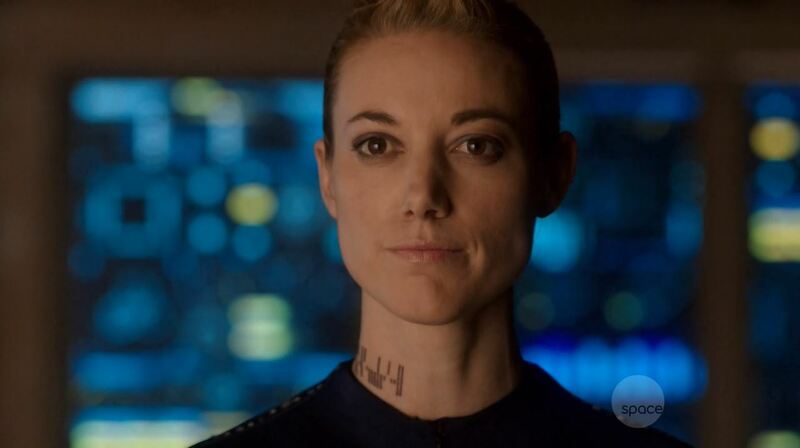 The characters are sadly too familiar, none really jumps out except perhaps The Android (played by Zoie Palmer). But even The Android has more than just a passing resemblance to David from the movie Prometheus. 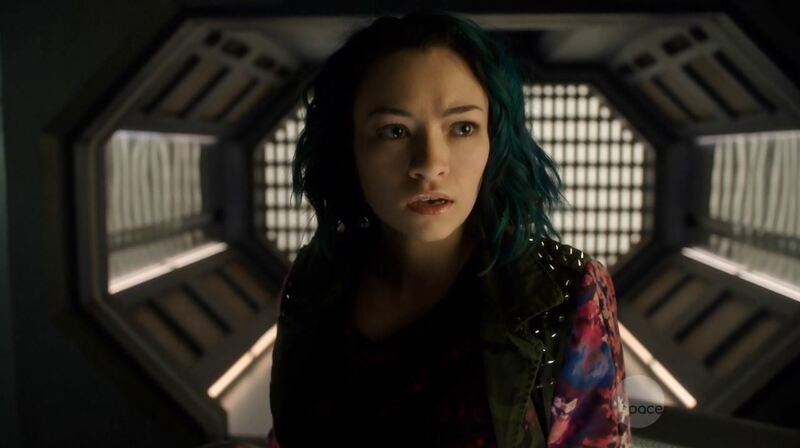 Compared to Firefly, Dark Matter has managed to do relatively little with its first 43 minutes to give the characters more depth. That said, there is plenty of mystery in the pilot episode. 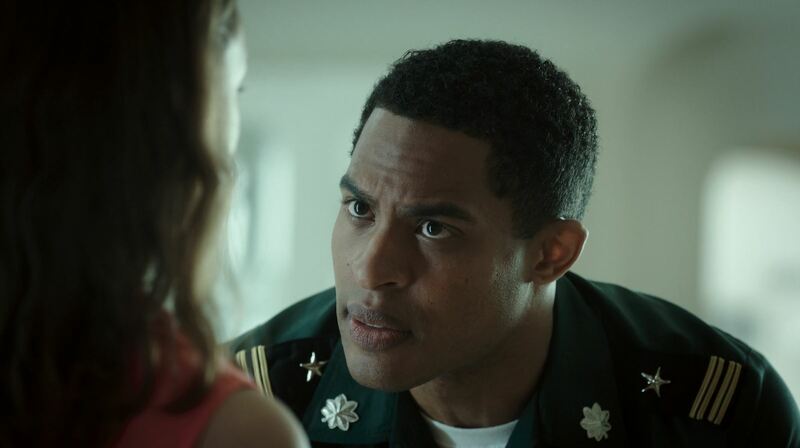 Before long the boorish Three (Marcus Boone) discovers a door on the ship he cant open. Not even with the most powerful gun available to him. Four, or Ryo Tetsuda (Alex Mallari Jr.), finds a small mystery box which he tries to open, presumably giving him access to his previous life. Meanwhile Das (played by Jodelle Ferland), the groups youngest and the only one not a convicted villain, tells Two (Portia Lin) she dreamed how one of them grew up in a palace and had to resort to killing their family. When Two (played by Melissa O’Neill) asked why Das did so she responds the memories aren’t hers but they are from someone else. There are still more smaller mysteries that I won’t mention. But is becomes clear that Dark Matter can already rely on a rich background to last out the season. Setting up the mystery came at the cost of the character development, but as I said there are hints of deeper things. 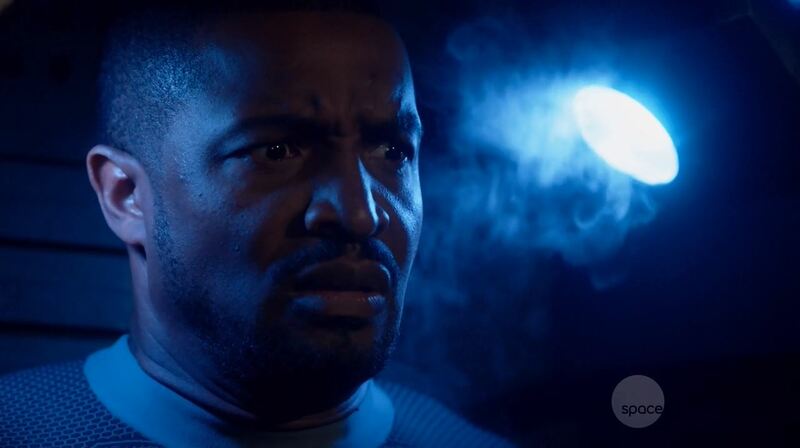 I liked the Dark Matter pilot. It is not a hard-SF. It feels very familiar, but I like it. Before today I knew few of the actors besides Roger Cross and Zoie Palmer but all seem capable. I will be eagerly following Dark Matter over the coming 12 weeks. 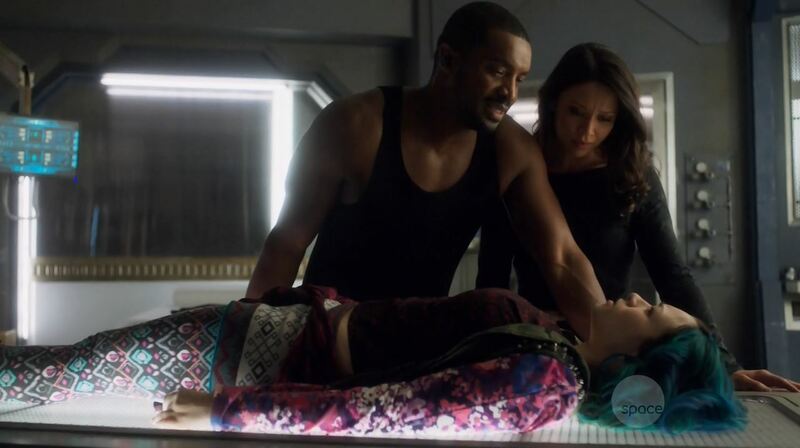 This was Dark Matter Series Premiere Review, be back next week for another review! Score; 7 / 10. The pilot may not win medals for originality, but there are hints of greatness. 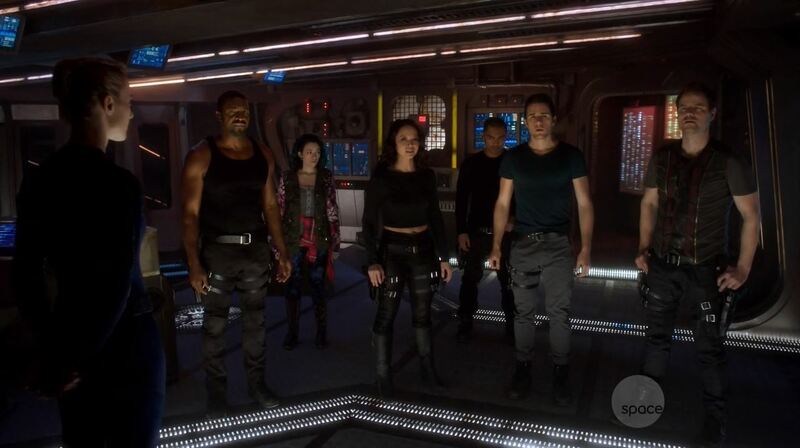 Previous story Dark Matter, Defiance season 3 to air tonight!